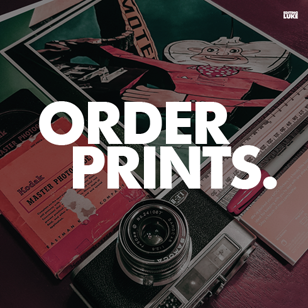 Right now is the perfect time to be a Beatles fan! Short of being around in the 1960s, the re-release and new focus on the Beatles music and history is a playground for someone like me, along with countless other fans. While a lot of effort was put into getting the Beatles albums years ago, it's not the re-releases I'm excited about. Truth be told, it's not all the magazines (despite buying them) that really swept me away either. No, the real treat and surprise in this whole reintroduction has been the limited edition release of Beatles Rockband that came out just a little over a week ago. 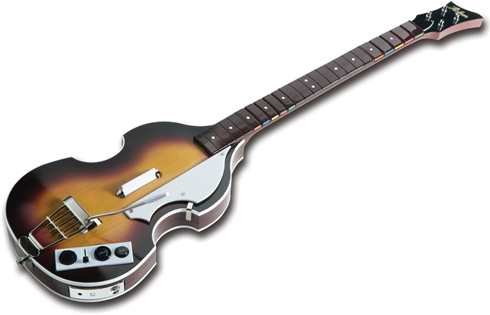 I opted for the limited edition with the replica of Paul's Hofner bass, which is really cool. For those of you who don't know, the Rockband instruments (guitars and drums) are actually wireless controllers themselves and don't require you to stick your Wii remote into them to make them work (like in Guitar Hero for Wii). And, much better than some decal or sticker, the finish of the Beatles instruments is top notch. There's never been a shortage of Beatles merchandise to acquire, but for any fan of the music, this is a great time to get a taste. The Beatles Rockband remains my favorite thing to come out of all of this, and I'm sure I'll be playing it for months to come. 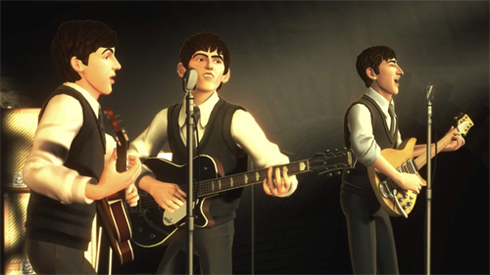 You can check out the amazingly beautiful intro cartoon to the Beatles Rockband below. I love how it seemlessly transitions through moments in Beatles history. Enjoy, and maybe get out there to experience some of this Beatles revival for yourself! I have guitar hero 5 and i can say i'm really disappointed. 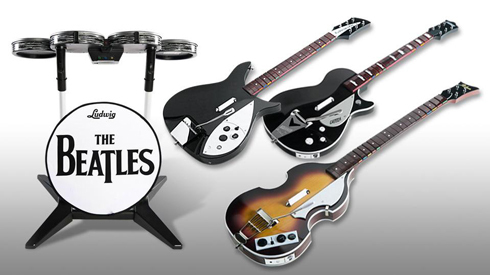 I'm gonna get The Beatles: Rockband soon to fix my urge!